How do I favorite/save tutorials? 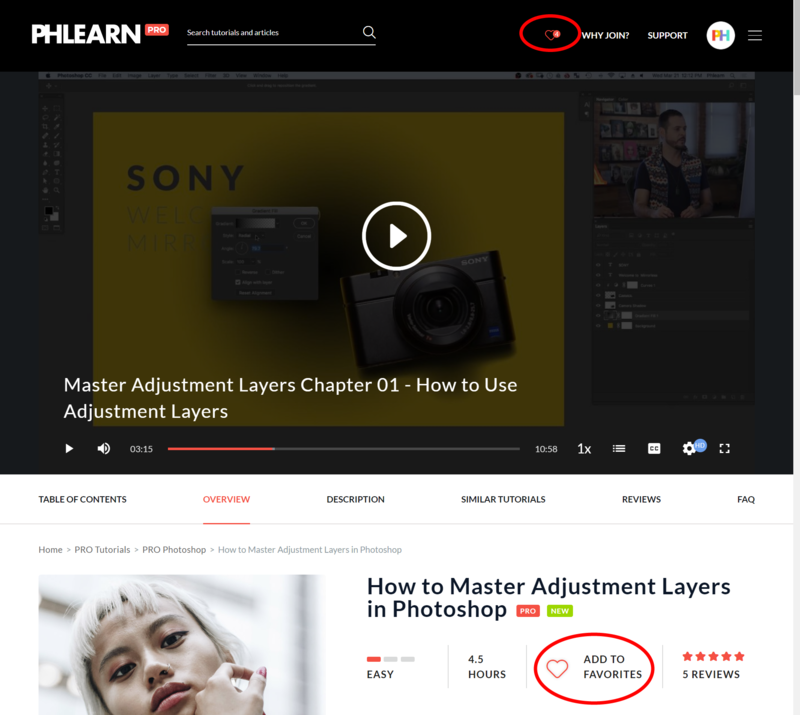 You can add any tutorials, free or PRO, to your favorites by clicking on the heart in the tutorial overview. You can access all the tutorials you added to your favorites by clicking on the heart in the top menu bar of any page.